Cramer & Anderson has once again helped a student prepare for the upcoming school year through the United Way of Western Connecticut’s Back-To-School Program. Attorneys and staff donated a total of $355 this year, which purchased a backpack and supplies such as notebooks and pens for a girl entering fourth grade. The girl will also receive a $100 gift card to purchase clothes and shoes through the firm’s donations. Enough was left over to purchase another $100 gift card, and donate $50 in cash, to help other children. “It’s wonderful for these kids to have such a positive start for their school year. Thank goodness United Way spearheads this event every year,” said Jeremy Ruman, legal assistant to Partner Art Weinshank, who coordinated the firm’s fundraising effort. Summer intern Allie Noteware, a student at Western Connecticut State University, did the shopping for the school supplies. Cramer & Anderson has been supporting the United Way’s Back-To-School Program since 2002. United Way’s mission is to improve the lives of hard-working, struggling households by mobilizing the resources of local communities to create lasting change. 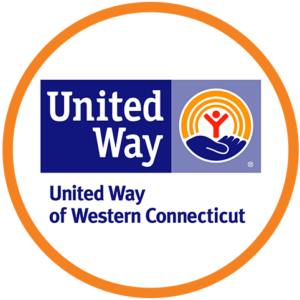 United Way of Western Connecticut serves the Greater Danbury and Greater New Milford areas, as well as the City of Stamford. Cramer & Anderson’s flagship office is located on the Green in New Milford. The firm also has offices in Danbury, Litchfield, Kent, and Washington Depot, as well as a new office in Ridgefield, serving Fairfield County. For more information, see the website at crameranderson.com or call the New Milford office at (860) 355-2631.